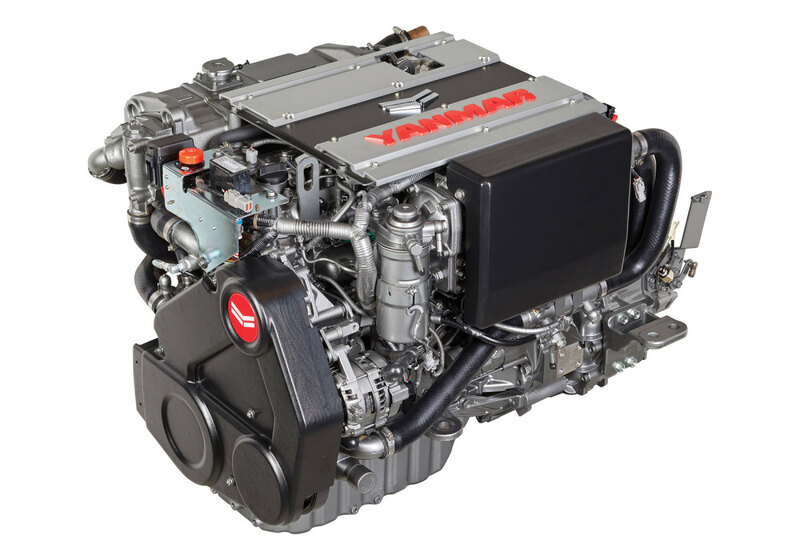 Repowering with new engine technology or upgrading to the latest marine electronics can enhance the value and enjoyment of your boat. Who doesn’t love an upgrade? You check in at the airport and go from cattle-car economy to first-class luxury. 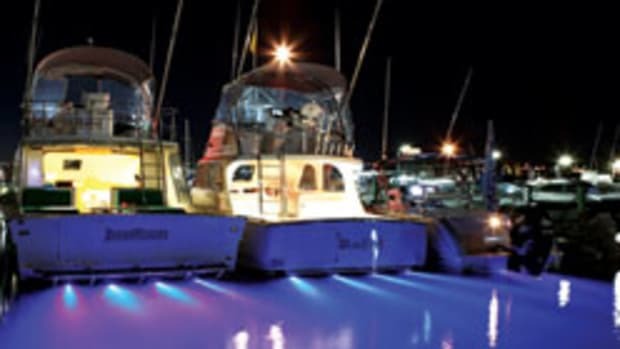 While upgrading your boat may not be as superficially thrilling as receiving a complimentary first-class seat, the investment can boost your boat’s long-term value and your on-thewater enjoyment. 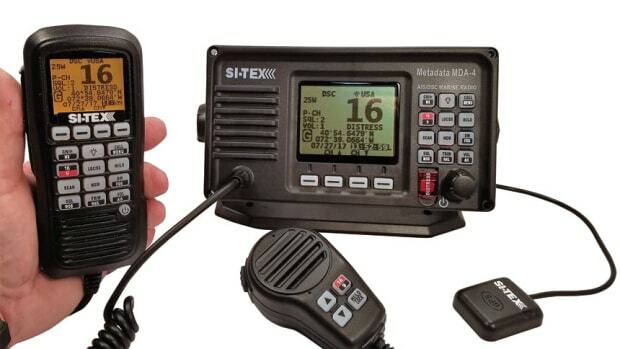 Here’s the latest from electronics and engine manufacturers, making it tempting for you to do everything from a VHF radio upgrade to a complete repower. 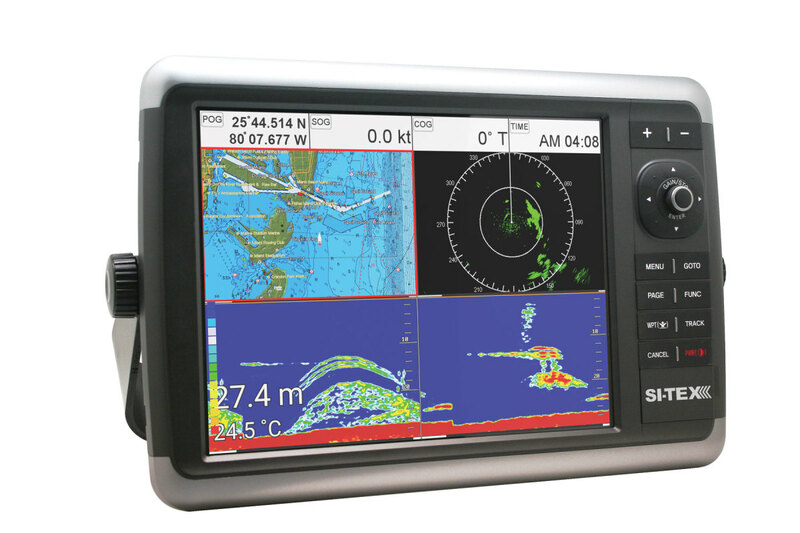 The 10- and 12-inch NavStar multifunction displays from SI-TEX combine radar, sonar, chart plotting and entertainment functions in a compact but rugged enclosure. The new displays are SI-TEX’s first to operate with either touch-screen or knob and button controls. Inside each unit is a 1.6 GHz quad-core processor, which allows a four-way split-screen view and fast performance. There’s also Bluetooth and wireless LAN connectivity for speedy chart updates and streaming of audio and video entertainment. Raymarine augmented its existing Axiom multifunction display lineup in July with the new Axiom Pro model range. Available in 9-, 12- and 16-inch display sizes, Axiom Pro is for serious offshore cruisers and anglers. The Axiom Pro has Raymarine’s HybridTouch interface and combines touch-screen controls with a keypad for use in rough conditions. The displays are designed to perform well in bright sunlight, utilizing in-plane switching to maximize daytime viewing. 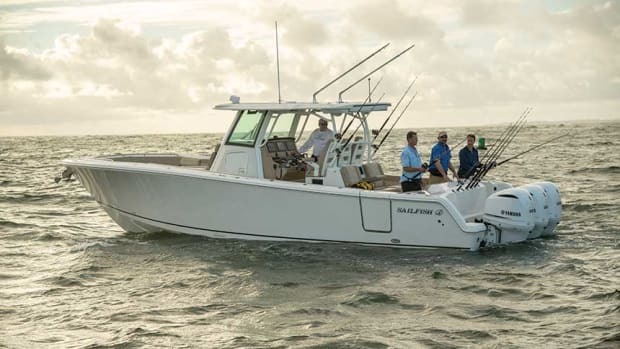 The setup runs on Raymarine’s LightHouse 3 operating system with a fast, quad-core processor. 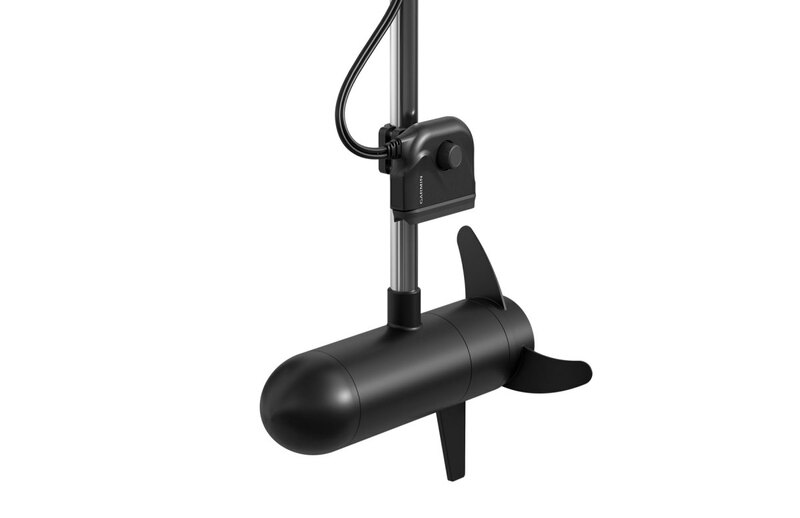 Bay-boat owners with bow-mounted trolling motors are the intended audience for Garmin’s Panoptix PS22-TR transducer. 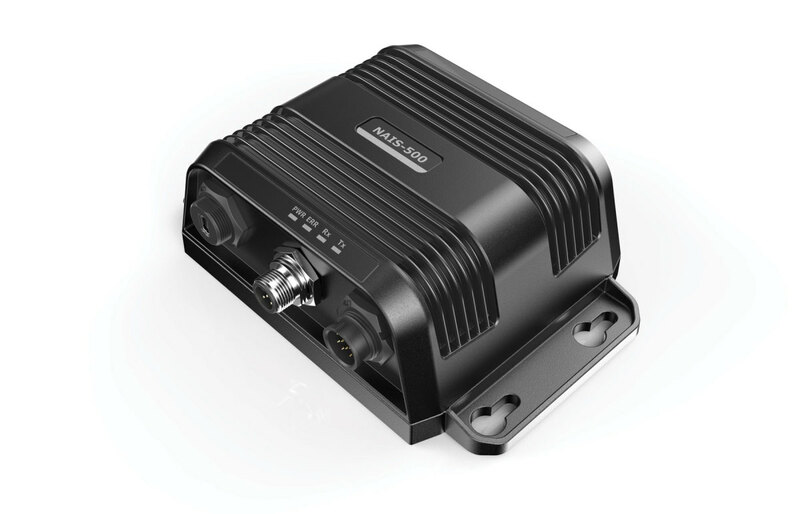 It has LiveVü Forward and LiveVü Down, with a 20-degree beam angle for crisp resolution and clear images of what’s around and under the boat, including when the vessel is stationary. 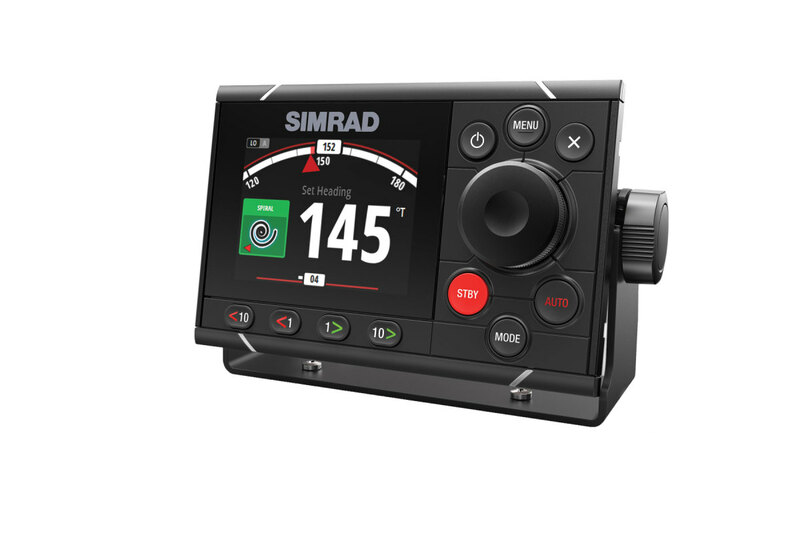 Simrad’s GO12 XSE and GO7 XSR are the latest additions to the GO stand-alone chart plotter line. The GO12 XSE is a 12-inch model, and the GO7 XSR has a restyled glass-helm design and radar compatibility that were not available on its predecessor, the GO7 XSE. 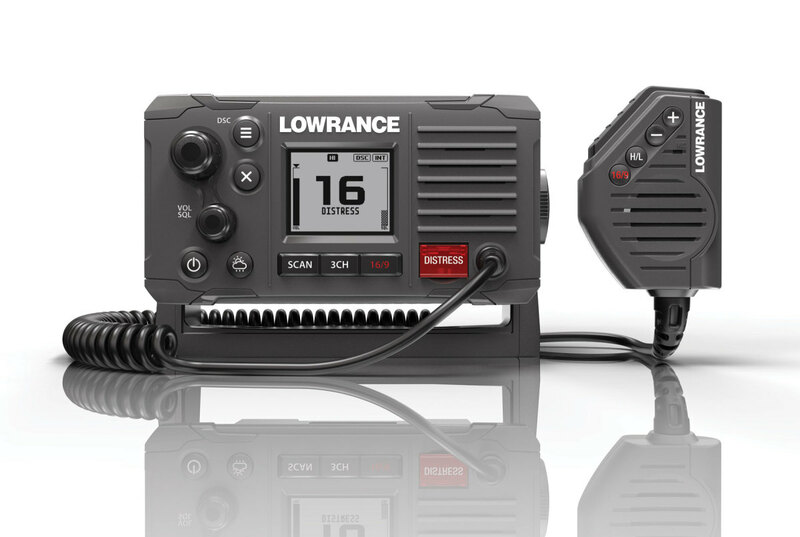 Designed for everything from small RIBs to sportfishing yachts, the Lowrance Link-6 and Simrad RS20 are Class-D DSC marine VHF radios. Each has a modern look and a high-contrast, black-on-white display for use in bright sunlight. An inverted white-on-black mode helps preserve night vision. 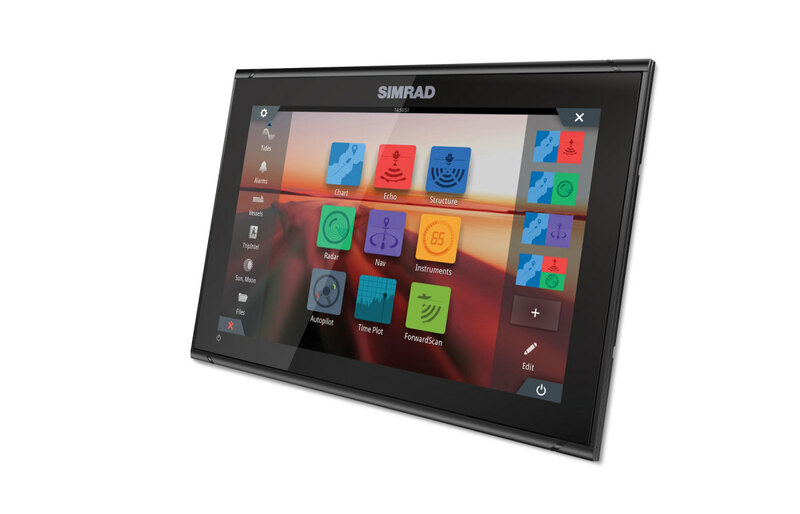 Simrad’s AP48 autopilot controller is compatible with the company’s Continuum autopilot systems. The controller has an optically bonded 4.1-inch, full-color display with a 170-degree viewing angle and glass-helm styling. 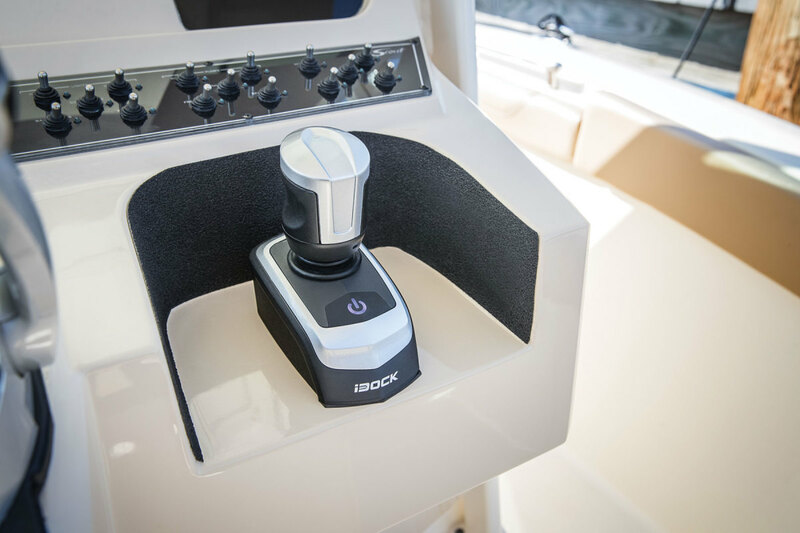 Evinrude has jumped into the joystick-steering market with iDock for its E-TEC G2 2-stroke outboards between 150 and 300 hp. 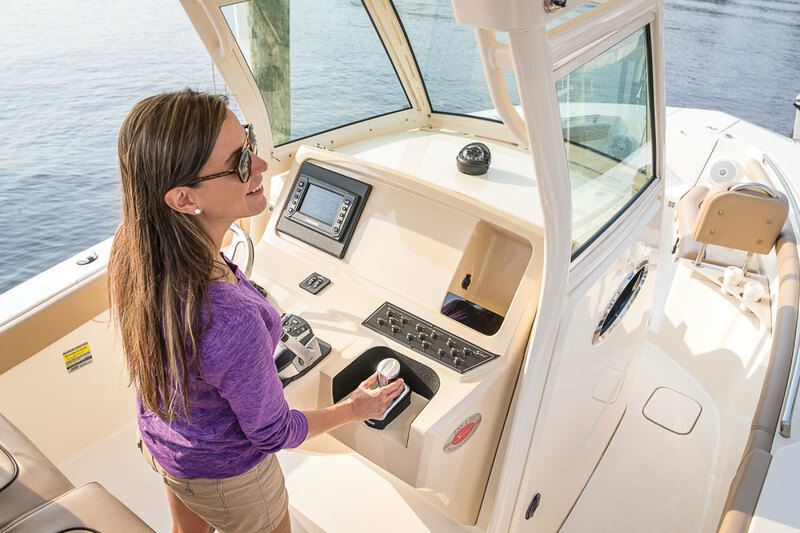 The system starts at $5,999, which Evinrude says is competitively priced, compared to other joystick-steering systems. One of Yamaha’s most popular 4-stroke outboards, the F300, was until recently available only with digital electronic controls. 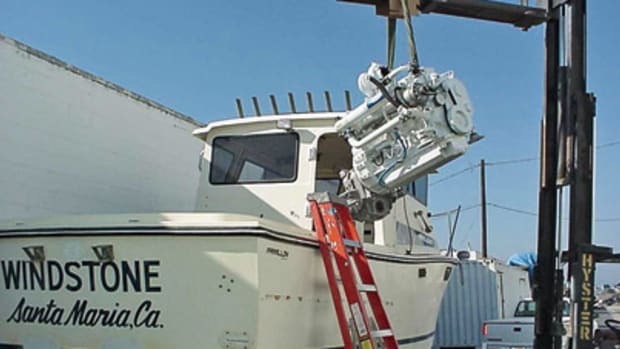 The company now has a mechanical shift version, providing a more economical option for boaters with existing mechanical controls who want to repower. 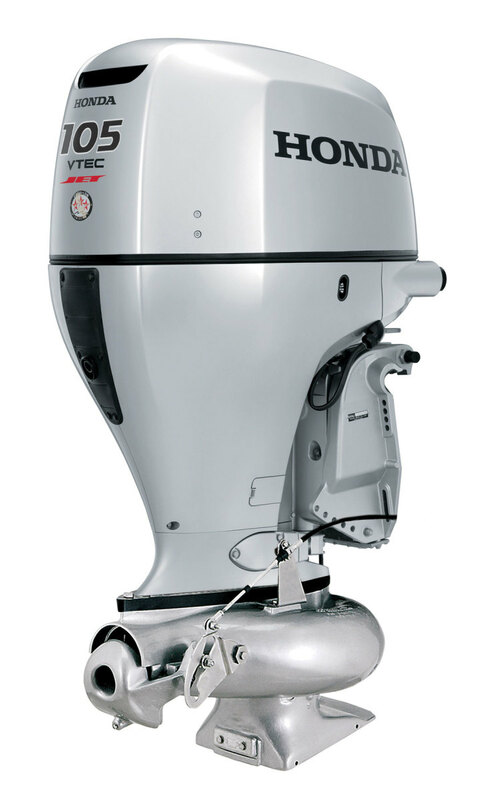 Honda recently refreshed its 75-, 90- and 100-hp 4-stroke lineup alongside new and updated rigging components, a multifunction engine display, a multiengine switch panel and a multifunction tiller handle. 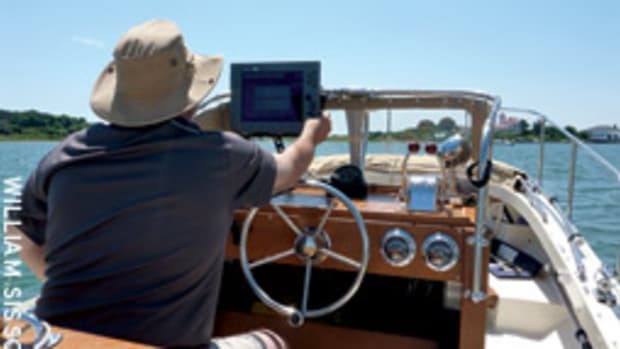 The handle has a larger shift lever, a power-trim tilt switch, a reversible shift lever, handle height adjustment, a variable trolling control switch and an engine alert panel. Volvo Penta’s 1,000-hp D13 is a 12.8-liter, inline 6-cylinder diesel designed for boats up to 120 feet in length. It was rolled out alongside an updated, compatible IPS1350 pod drive. Sporting an upgraded 915-Wh lithium battery, Torqeedo’s Travel 1003 C outboard provides 73 percent more range and run time when compared to the Travel 1003. 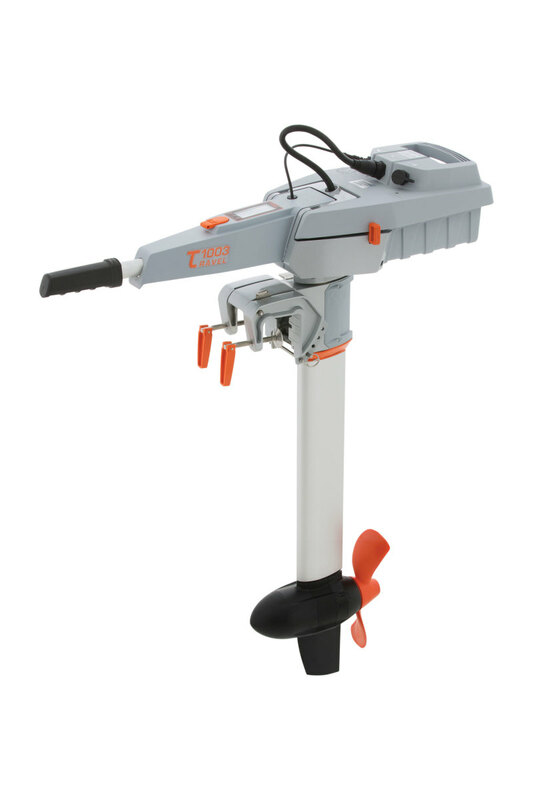 The Travel 1003 C also has comparable performance to a 3-hp gasoline outboard, according to the manufacturer, with a thrust equivalent on par with 4-hp gas outboards. Torqeedo says the Travel 1003 C is designed for small boats, dinghies and daysailers up to 1.5 tons, and has a range of 18 nautical miles. The Travel 1003 C is available in 25- and 30-inch shaft lengths. 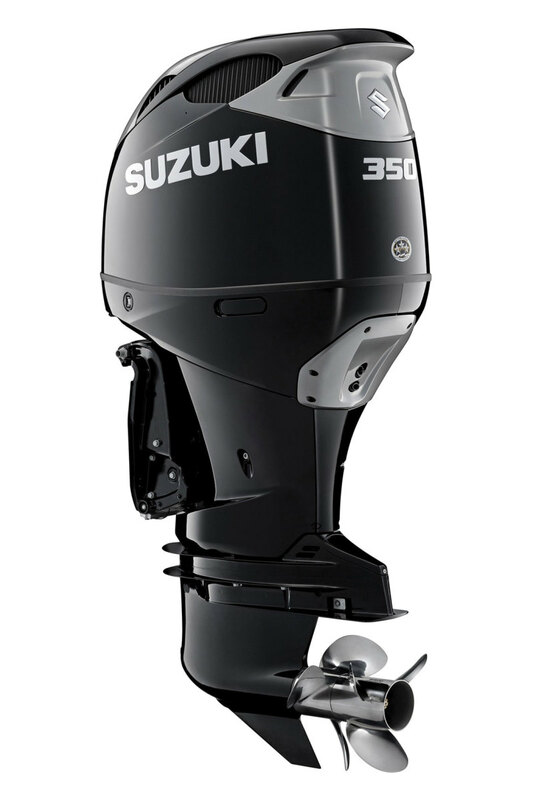 Suzuki’s 350-hp DF350A is the biggest outboard the company has ever produced. 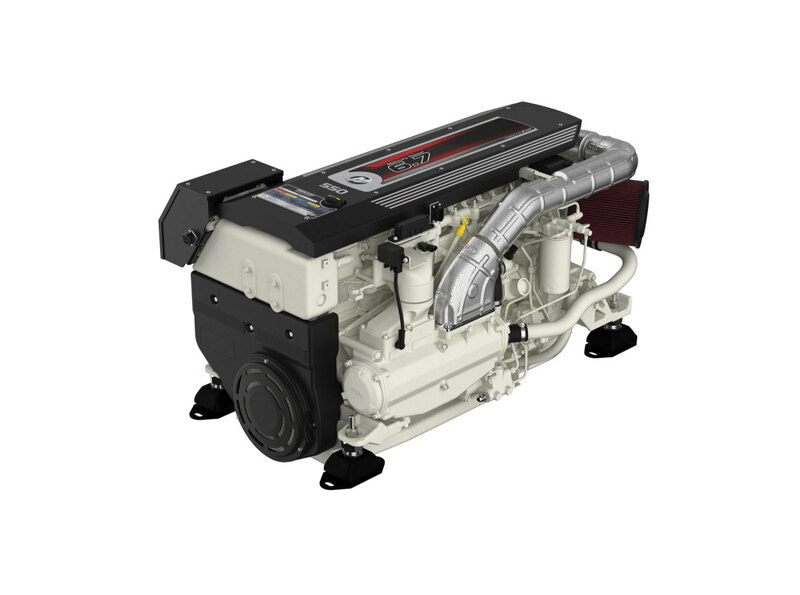 Engineered around a 4.4-liter, V-6 block, the DF350A has a high-performance 12-to-1 compression ratio and contra-rotating propellers. 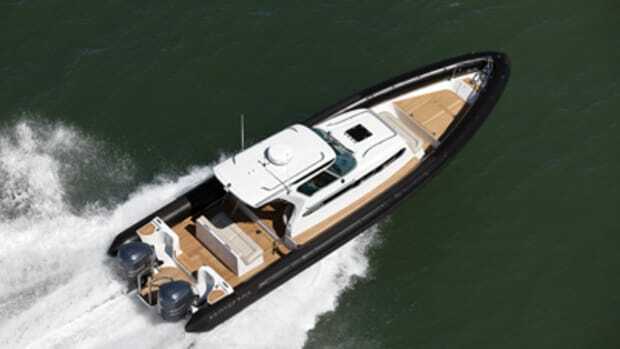 The engine targets the large center console and high-performance bay boat markets. A number of engineering features are designed to increase performance and prevent cylinder knock. Notable is an innovative air intake that better feeds cooler air to the cylinders and sheds microscopic water molecules for better ignition. Two fuel injectors per cylinder allow for improved combustion and help cool the cylinder head. 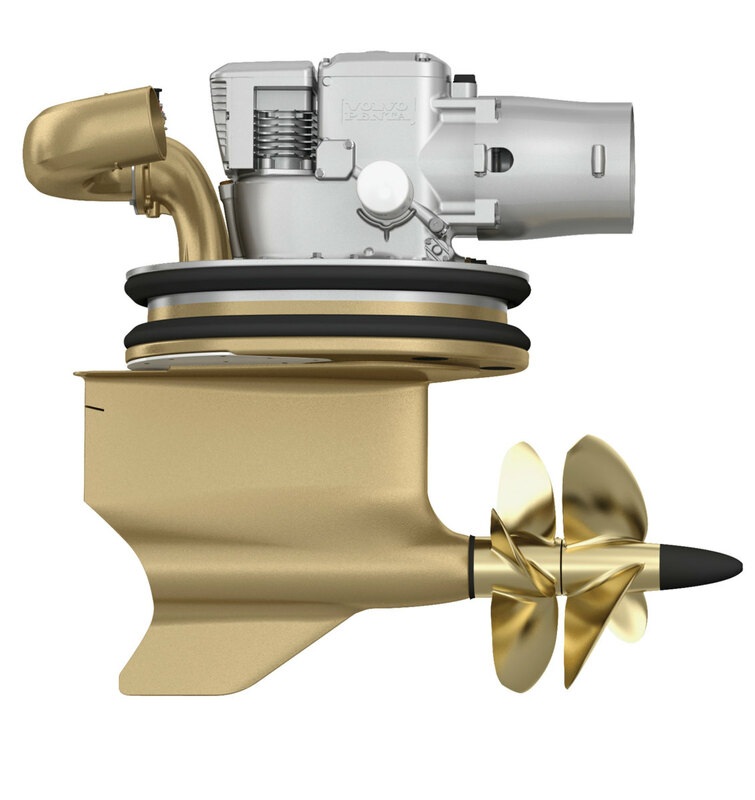 The dual-prop system creates a bigger footprint in the water and provides impressive hole-shot performance. 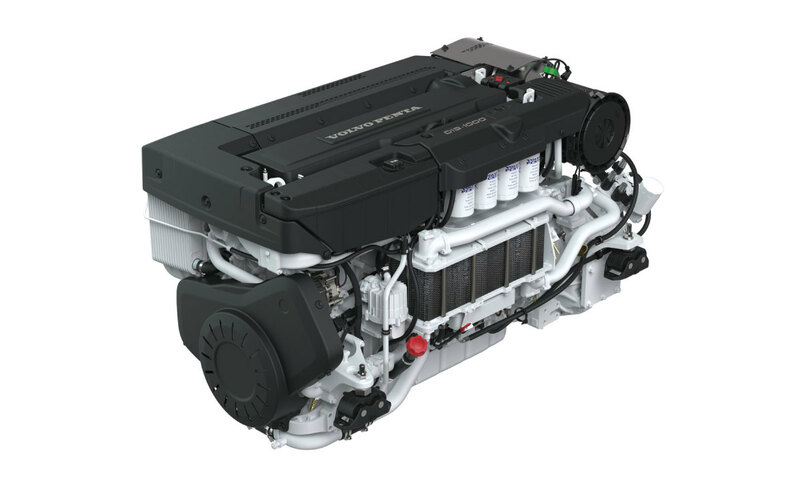 Later this year, Mercury Marine is expected to bolster its diesel offerings by adding three models based on FPT Industrial’s 6.7-liter NEF lineup of mechanically fuel-injected diesels. The engines, branded as Mercury Diesel, will be available in 480-, 500- and 550-hp models. 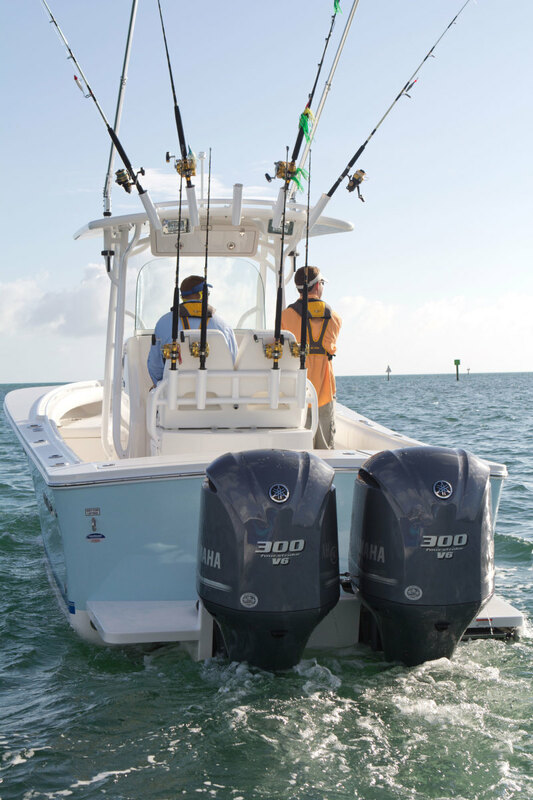 The center console has been the fishing and family fun machine for nearly 60 years. Here’s a look at nine new-on-the-scene models. Keeping up with the ever-changing marine electronics world is a full-time job.